If you’re a teacher, you know that the income generated from a teaching salary typically leaves a little to be desired. Honestly, this pushes many of us to consider getting second jobs to help increase our yearly income. But, these jobs can’t interfere with our brick and mortar teaching jobs. That is why the perfect choice would be work from home jobs for teachers. Unfortunately, they can be difficult to find if you don’t know where to look. So, I have researched and discovered what I would consider 5 of the greatest work from home jobs for teachers. These are perfect for weekends, school breaks, as well as summer vacation. And, each of them includes flexibility which is necessary for our unique schedules. As a teacher, you know the standards and requirements in your state. In all likelihood, you are also familiar with many of the children and families in your local area that would seek your services. So, who better to tutor kiddos that are struggling? Depending on the demand, you can work as much or as little as you want. And, because you’re not affiliated with the school system or any other company, you can charge whatever amount you deem appropriate for your services. There is no hard and fast rule here. The only downside to this job would be the fact that you will have to build up a fairly consistent client base. If you don’t have kids you see regularly, you’ll always be seeking new kids to add, and that can be very time-consuming. The second in this list of work at home jobs for teachers is the best option in my opinion. I absolutely love this job!! While you don’t have to have a teaching degree to be a VIPKID teacher, it certainly helps. Our educational background helps us relate to the kids and troubleshoot areas of confusion in ways that others cannot. The best part about VIPKID is that you can work as much or as little as you want. There are no required hours, but obviously, the more consistently you work, the more repeat kiddos you’ll have. Because of the flexibility in the schedule, it is a wonderful option for teachers who are currently in the classroom. In fact, one of my dear friends is currently doing VIPKID part-time while working at a “brick and mortar” school. She just does as many classes as she feels like she can handle. Then she picks up extra classes during holidays, breaks, and during the summer. Truthfully, it’s the perfect option if you are looking for something to supplement your income! 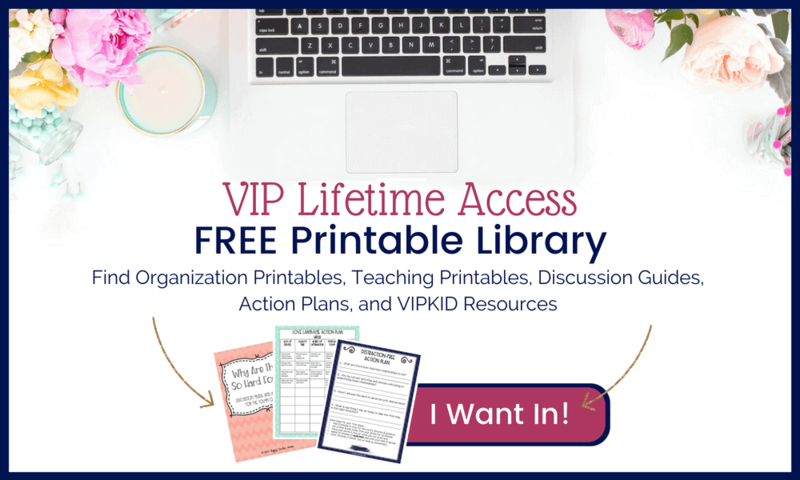 If you want to know a little more about VIPKID, check out this post that answers all of the questions you might have. This 3rd option is definitely a long-term money making endeavor. If you’re interested in doing something that will provide income immediately, this is not the way to go. However, the income potential with blogging has no cap. So, that alone makes it worth mentioning. And as teachers, we are already at an advantage when it comes to “educating” or “teaching” through a blog regardless of the topic. Honestly, that’s why so many teachers have become successful bloggers! This is another option that is perfect for teachers! Whether you like to create pretty things or you just really enjoy creating educational activities, Teachers Pay Teachers is a great place to sell your products. I have had a shop on TpT for about 2 years, and I consistently sell things every month! It’s a wonderful way to earn an income passively. In other words, once the products are created, you just have to wait on folks to buy your awesome stuff! If you’re interested in learning more about selling on TpT or if you just want some advice on where to start, I have an entire category devoted to all things TpT. So, if you think this would be a good fit for you, you can check out Teachers Pay Teachers 101! To tell you the truth, I’d never really heard about this last option until I started researching some of the best work from home jobs for teachers. I knew these particular jobs existed, but I didn’t know you could actually do them from home! The nice thing about these is that the amount of time you spend learning the ropes and completing orientation may count for required professional development. If you decide to pursue this option, definitely check with your local school superintendent for more information about PD. For over 50 years, Pearson has been the top name in testing. They have opportunities for individuals interested in becoming test scorers. You can work from home, but you must have a four year degree. You can go to Pearson to find out more about these positions and to see if you qualify! For this company, only a 2 year college degree is required, but you have to pass a “final exam” before you can begin. While there is no financial investment up front, you are required to go through a rather intensive orientation and training before you become certified. Once you’re qualified, you start scoring and making money. To find out more, you can visit WriteScore. 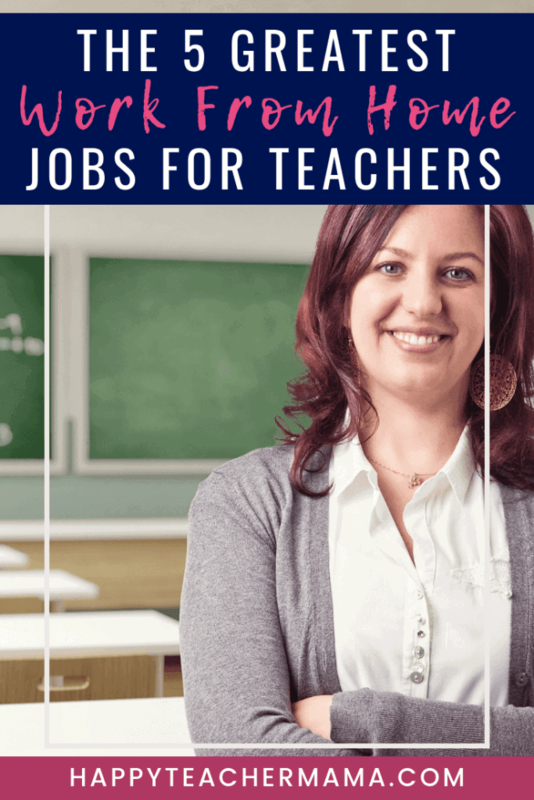 While this is certainly not an exhaustive list of work from home jobs for teachers, I hope it has helped you see five of the best options out there! Whether you are looking for a side job to supplement your income or a summer job to make extra money, these are wonderful opportunities. If you have any questions, or if you know of another great addition to this list, I would love for you to comment below.